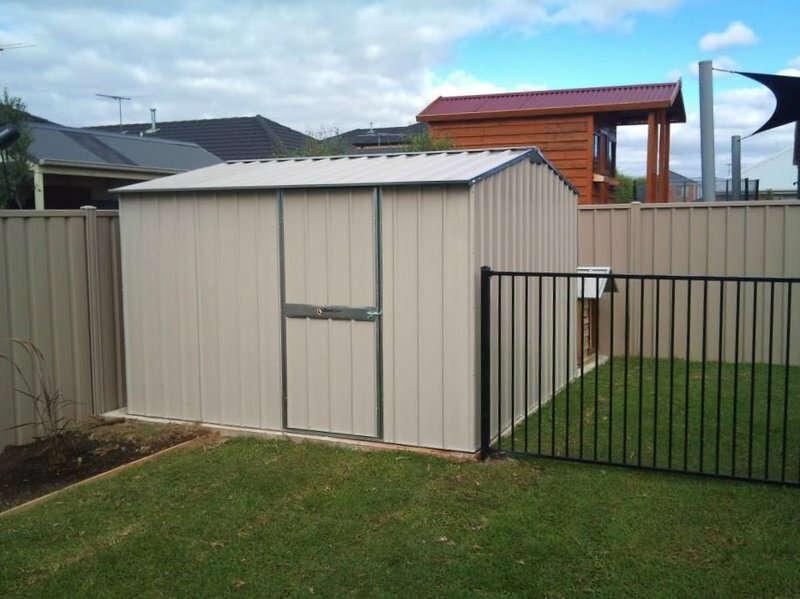 One of the most common ways a garden shed is installed is fixing it to a concrete slab. Many customers already have an existing concrete slab that they are looking to utilise by installing a shed on it. This is a great idea as it saves removing a slab while at the same time providing a solid foundation. Our installation teams consistently install sheds on to concrete slabs and have recorded a small DIY video for those looking to do it themselves. The item you need to fix your shed to a concrete slab is what we call a concrete fixing kit. They come as a packet of 8 ‘L’ Shaped brackets and dynabolts. You typically need one packet for a shed around 3m x 3m or smaller. We suggest at least two fixing kits for anything over this size. Ask one of our friendly team for a price for a concrete fixing kit. They are currently available in our triple upgrade offer, which works out at $29 per set. The below video demonstrates fixing one of our standard garden sheds to a concrete slab. 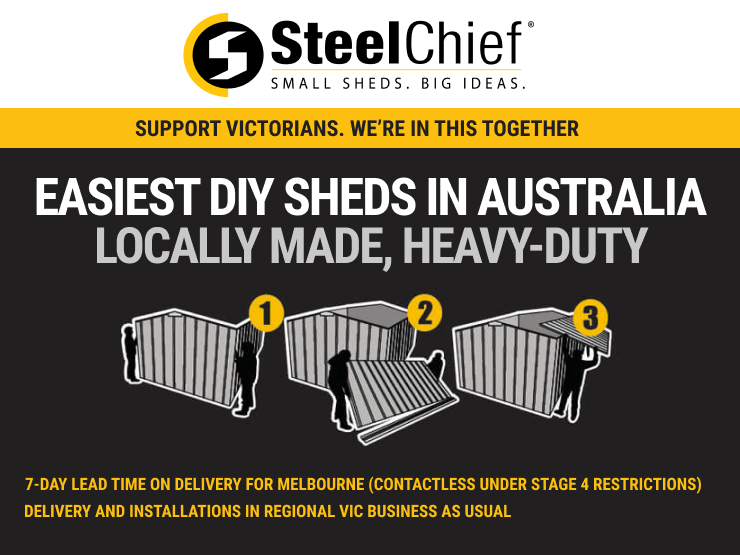 Ensure you follow installation instructions for the shed prior to fixing the shed to the concrete. The shed should be completely erected before following the below video. Before drilling the hole into the concrete ENSURE THE SHED IS SQUARE. To check this once the shed is erected and you have fixed the bracket to the shed, measure the internal diagonals of the shed. They should be equal. If the shed is fixed to the concrete and is out of square there is a strong possibility you will have issues doors being out of square and potentially not closing properly. The equipment you will require is: a power drill, 6.5mm masonry drill bit, tape measure, 5/16″ hex bit, safety glasses, hearing protection. Do not attempt to erect your shed in windy conditions.